Company first arrived on Broadway in 1970, following an out-of-town tryout in Boston. 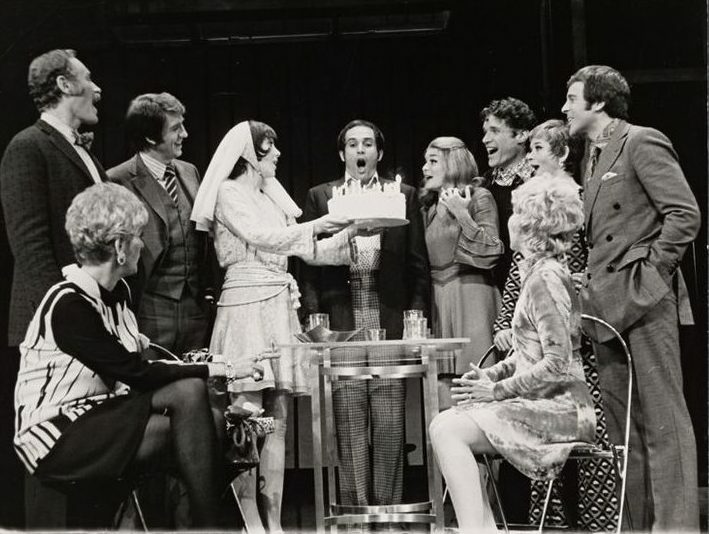 The original Broadway cast included Dean Jones, Donna McKechnie, Susan Browning, Pamela Myers, Barbara Barrie, Charles Kimbraugh, Merle Louise, Beth Howland, and Elaine Stritch. It ran for 705 performances despite receiving mostly mixed reviews. In 1995, Roundabout Theatre Company revived Company on Broadway for the first time following the original 1970 production. 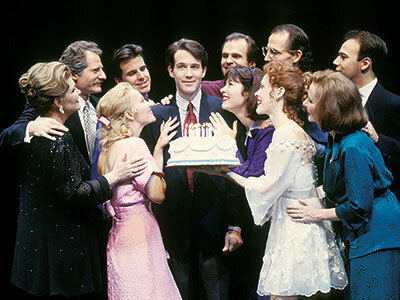 Scott Ellis directed the production, which starred Boyd Gaines, Kate Burton, Danny Burstein, Debra Monk, La Chanze, Charlotte d’Amboise and Jane Krakowski. The production closed after playing 43 previews and 60 performances. John Doyle directed and choreographed the next Broadway revival of Company, which opened at the Ethel Barrymore Theatre in November 2006 and starred Raúl Esparza as Bobby. The production ran for 246 performances, and won the Tony Award for Best Revival of a Musical. 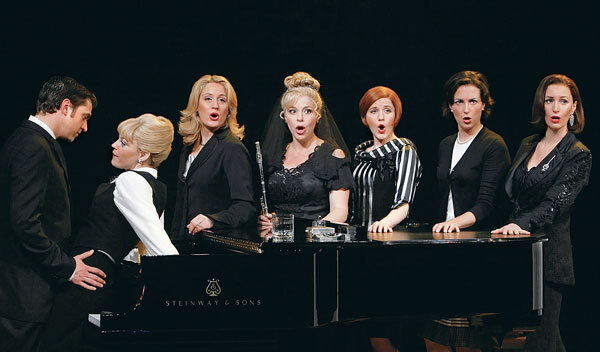 In 2011, the New York Philharmonic put together an all-star cast to perform in a special concert production of Company, which was filmed and subsequently released on DVD. Neil Patrick Harris led the cast, which also included Patti Lupone, Stephen Colbert, Jon Cryer, Christina Hendricks, Martha Plimpton, Katie Finneran and Anika Noni Rose. Hungry for more Company? A new production at Lyric Stage set in the present day breathes fresh life into the classic we all know and love. See it through October 9. 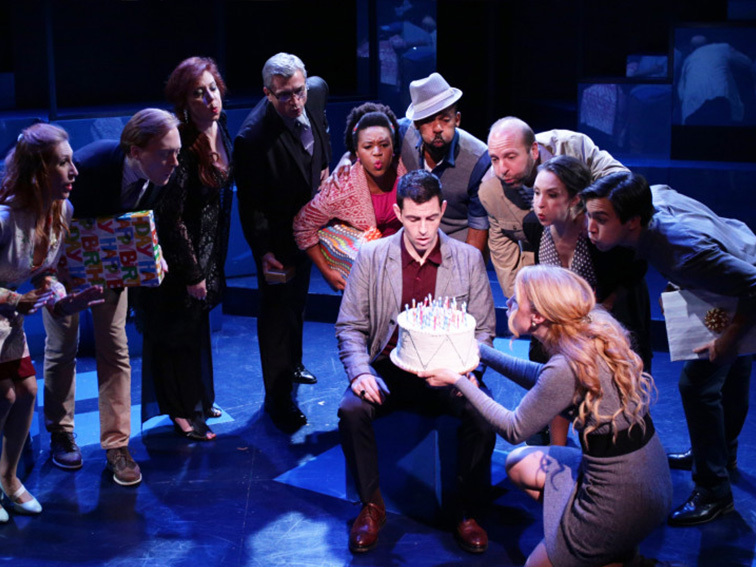 Enter here to win $15 lottery tickets to Company at Lyric Stage on TodayTix.